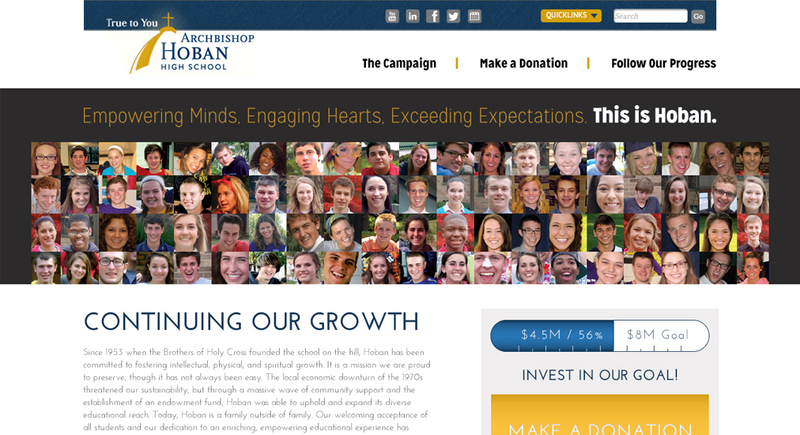 Archbishop Hoban came to Quez Media with the request of establishing a campaign theme for their 2013-2014 goal of raising $6 million to expand their student endowment fund and update their beautiful Akron campus. 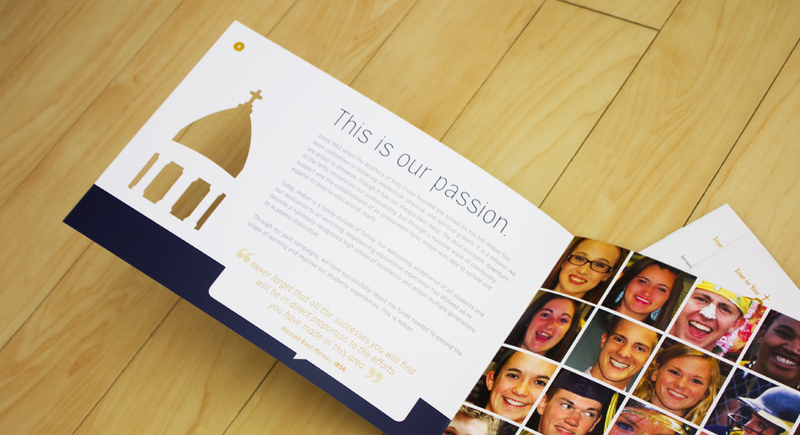 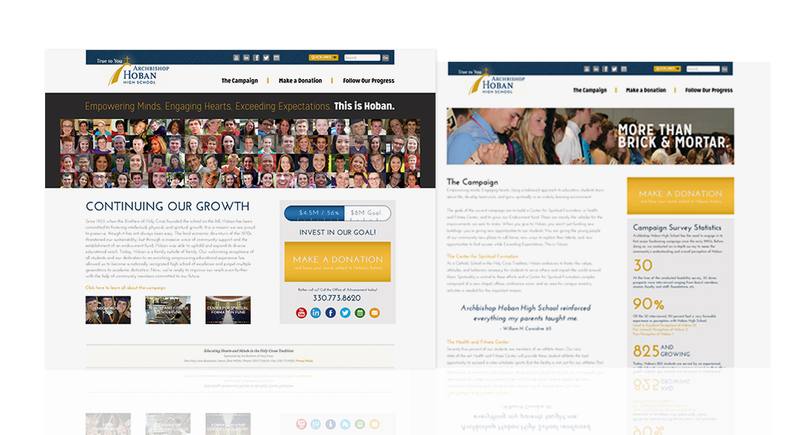 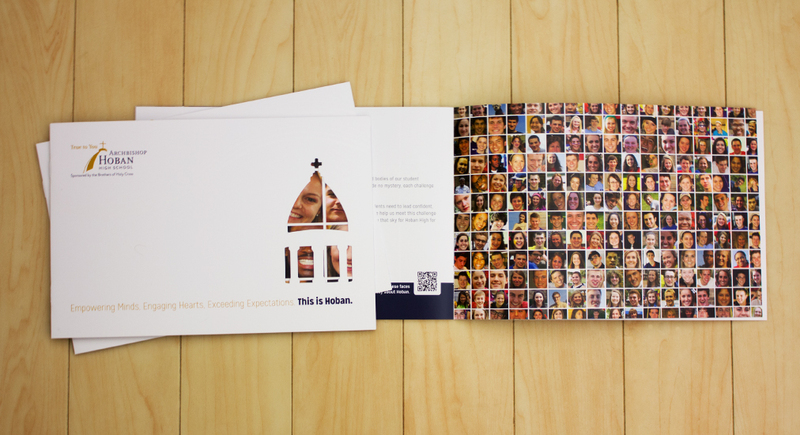 Working with Hoban's leadership team, Quez developed the slogan of the campaign, a series of high-end print materials to help educate people about the project and the school's goals, and designed and built a mini-site that acts as both a digital version of the printed book and as a place for people to learn more about the different donation levels. 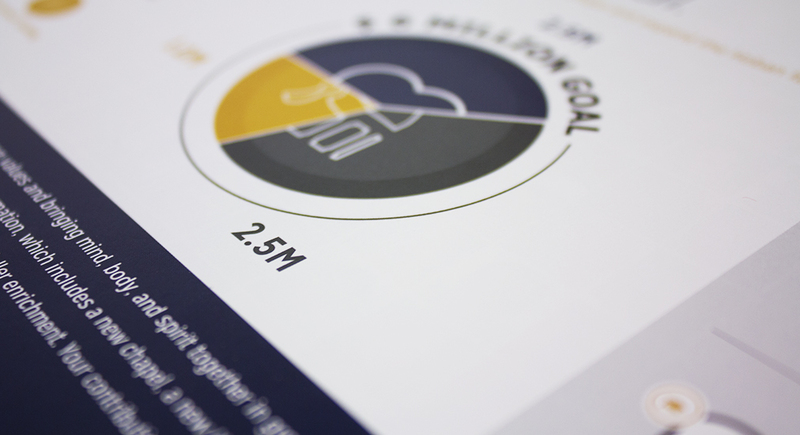 Visitors to the site can then make a donation right then and there—and they’ve currently raised more than $5.5 million because of it!